This is the Asus new line of gaming laptops for gamers who want the best gaming experience that can be achieve on a laptop. 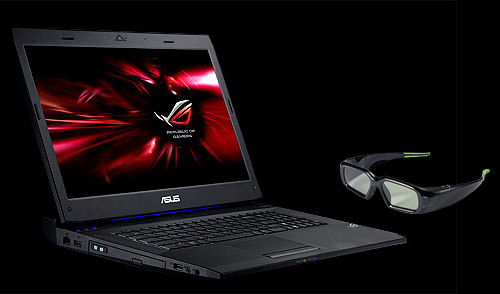 This new line is the first to offer 3D gaming on 17.3-inch screen. They have also change the graphics processor from AMD to NVIDIA to take advantage of NVIDIA’s 3D Vision technology, which offer extra-dimensional effects. The new model in this new line of gaming machine is the G73JW, which is due out soon. The G73JW will come with SiBEAM WirelessHD technology, which allows you to projects images to you television wirelessly. The SiBEAM's WirelessHD technology is the only wireless display solution on the market that provides a lossless and uncompressed video connection. Therefore, gamers will be able to play their game on their notebook and projects the image to the TV completely lag free.